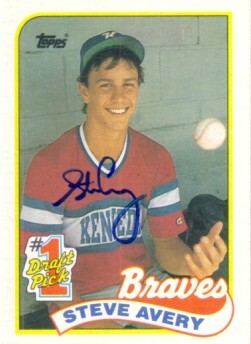 1989 Topps Rookie Card autographed by former Atlanta Braves ace pitcher Steve Avery. With certificate of authenticity from AutographsForSale.com. ONLY THREE LEFT.